Specializing in Coaching and Training for the non-technical or challenged computer user. Caring stewardship for the student. Use the following in any capacity that helps you get new business. And thanks again for today. I want to unequivocally recommend the services of Olive Tree Software, Inc. and David Arnold for anyone with computer problems, especially the nerve-fraying, "Why is this happening?" kind of issues. On two entirely different occasions, David solved major, major computer problems for me that seemed insurmountable, and were sending me up unwanted avenues to find a solution. Those of us who are not technically minded know how daunting it is when a device that you depend on is no longer functioning. But I watched David work with the skill of a patient surgeon to figure out what was wrong with, first an old PC that had valuable archives on it (the PC was shot but David skillfully removed the hard drive and loaded it into a different system), and more recently, two malfunctioning laptops with very different problems. When other people I asked, including a guy at [redacted], said they could not help me, David took on the impossible and patiently, carefully diagnosed the problem and fixed it. I am extremely grateful to this smart, savvy expert for all he's done for me, and I give him my very highest recommendation in this field. Kevin Renick, Musician/Composer of "Up In The Air"
Olive Tree Software has consistently and constantly solved every computer problem this elderly novice has ever had. I have learned a lot just by sitting near its proprietor while he took care of matters that came up over the years. If I could think of a higher recommendation than this one, I would write it. Just need help? Or Frustrated? Specializing in Coaching and Training since 1996. With a background (pre-1980) in computer programming, system construction, database design and implementation and computer troubleshooting, we have the experience and know-how to accomplish your task. Recovery from Hoaxes, Virus, Trojans, social engineering attacks, SCAMs. Call and explain the urgency of your situation, we'll immediately start helping with steps you should take. We speak "non-technical" If you don't even know what to say to the help desk, technical support, "geeks" or experts, call us in comfort. We make sure to understand you. We make sure you are happy with what we do for you. That's our promise. We help a wide range of individuals, regardless of their abilities or disabilities or level of technical comfort or proficiency, to find and use strategies, practices and technologies to achieve their goals. ...From PhDs and GEDs to elementary special education students and everyone in between. And impairment means "not easy" to do things. Methodology, coaching, technology, and techniques mean learning and knowing ways to do things: getting the "not" out of the equation. With our resourcefulness and the right tools and process, any task can be achieved. Simply, if you are having trouble getting the result you want, even if you already know everything you need to do, invisible barriers may be responsible. We look for and find ways to visualize and get past invisible barriers that prevent success. We pay attention to you... your strengths, weaknesses and vulnerabilities. We pay attention to your environment. We pay attention to your available network of support. We also explore other resources. We work out a way to do what needs to be done, by using computers, technology and methodology, and by collaboratively working with others. We test the process. With you participating every step of the way, we develop and adjust the process until it meets your actual needs. We pay attention to your abilities, vulnerabilities, and limitations. On an individual basis, we tackle your concerns. One of the best ways to instantly improve someone's success is to quit setting them up for failure. As coaches, we don't require you to use your own personal weakest links. Instead, we deliberately utilize your relative strengths. By avoiding self-defeating strategies, we protect, promote and embrace success. We strive for efficacy, not independence. What is the difference? Efficacy is what you can accomplish using your own abilities and every resource at your disposal. Independence is what you can do in the woods, barefoot, in the rain, without a pocket knife, alone. Efficacy doesn't mean being dependent. Efficacy means success: taking and exercising responsibility, working things out, getting things accomplished with your available resources. Advocacy We will help you by advocating for you, coaching you to advocate for yourself, or simply going with you for support. Our value is in actually helping you. We pride ourselves on putting our clients first. We support people in work, education and/or quality of life with the use of appropriate technology and the right techniques. We accept service requests from individuals, employers, schools, government agencies, insurance companies, etc. The client's goals and the client's history are used to guide the personalized and customized instructions, methods and procedures we develop together. Simply, have the client's goals been met? Was the degree of the client's effort matched by a successful outcome? We believe these are the ultimate standards to be met. Location We travel to you. Working in your own environment provides an information-rich setting in reality and helps us avoid solutions that only work in theory. We serve at Home / Home Office / School / Work. Tasks To start, we can provide exploratory survey, assessment, evaluation, interpretation, recommendation, and explanation. What follows may be the purchase of hardware or software, coaching, training, and/or referral as appropriate. We go the extra mile We frequently do "whatever it takes," because failure too often occurs with the transition between providers, or at the interval between steps in a process. 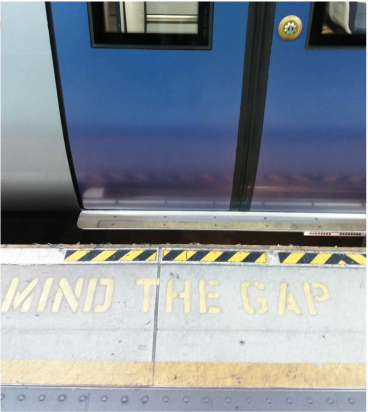 We mind the gap. Let's discuss your needs and goals. To make an appointment call 314-952-6257 (cell).